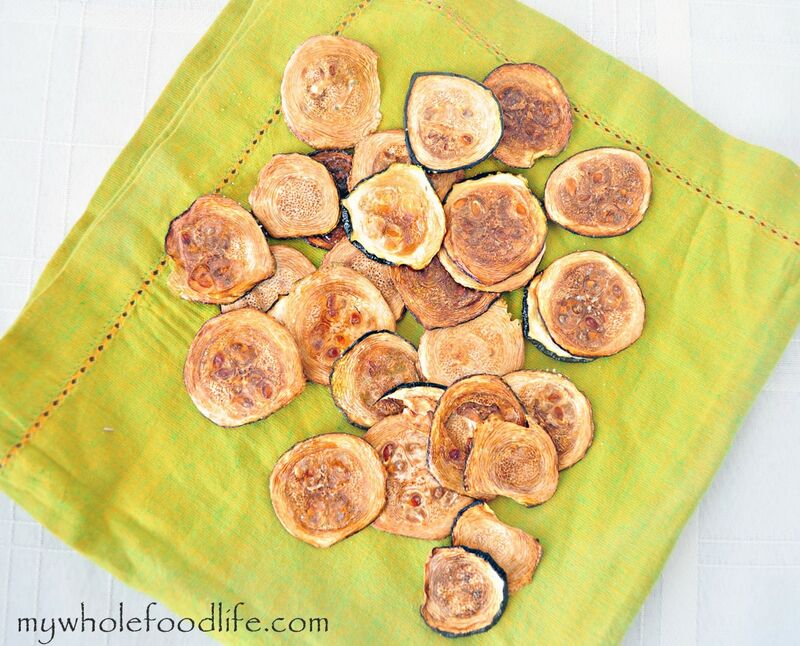 If you have never had Zucchini Chips, you need to try them! Not only are vegetable chips a healthier alternative to potato chips, but they are also super addicting and very easy to make! I actually thought these came out even better than my sweet potato chips. 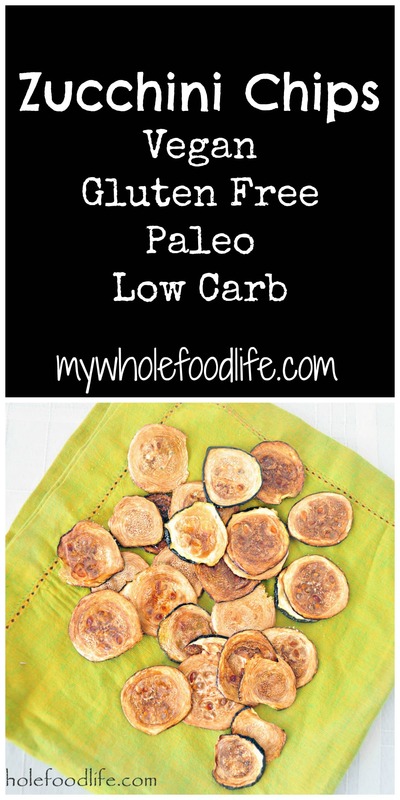 These baked chips are vegan, gluten free and paleo. The perfect snack for anyone and everyone. Although you may not want to share them! 🙂 I did this recipe using two methods. One was in the dehydrator , and the other in the oven. I actually like the way they turned out in the oven better. That was quite a surprise! I kept my zucchini chips simple with just a little salt and oil, but you can season them any way you like. They are great with salt and vinegar as well. Yum! A healthy and addicting snack! Remove the ends of the zucchini and slice thin. Mine were about 1/4 inch thick. Lay the slices on a greased or lined baking sheet. Brush the slices with oil and sprinkle with salt. Bake for 2 hours in the oven, stopping to flip them halfway through. If you are using a dehydrator, set the temp at 135 and bake for 4 hours. These shrink down quite a bit, so don't be afraid to load up the trays. If you have any left over, store them in an airtight container. To keep them from getting moist, scatter some rice at the bottom of the container. The rice will help absorb excess moisture.